The perfect combination of dexterity, sensitivity and protection. The most comfortable SFI certified race gloves you will ever own. 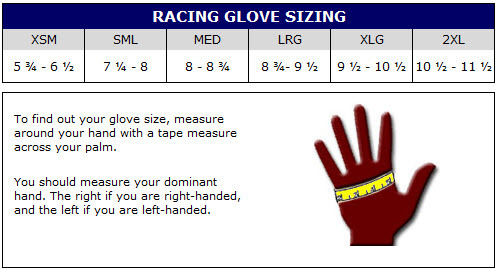 Two Layer Nomex® Fire Resistant Auto Racing Gloves. External-seam stitching provides superior comfort. Fire resistant silicone non-slip palm. PROFOX Trademarked RACE-WIN-REPEAT® on index finger.